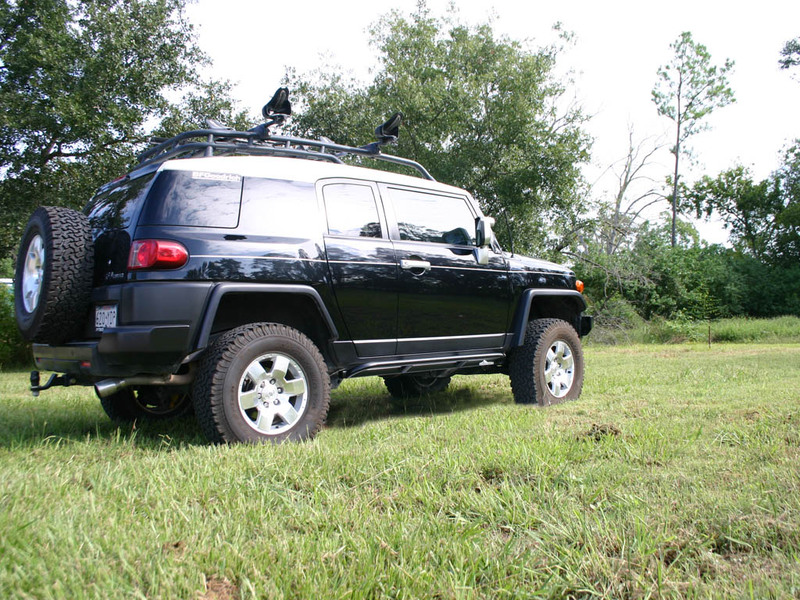 ShrockWorks rock sliders are the ultimate in serious protection, functionality and great looks for your Toyota. 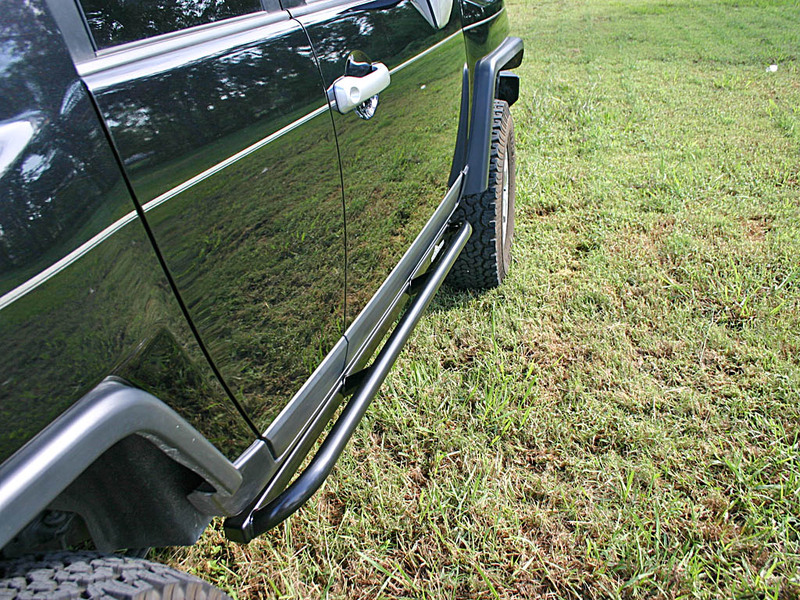 The most vulnerable area on any vehicle while off-roading is the rocker panels. 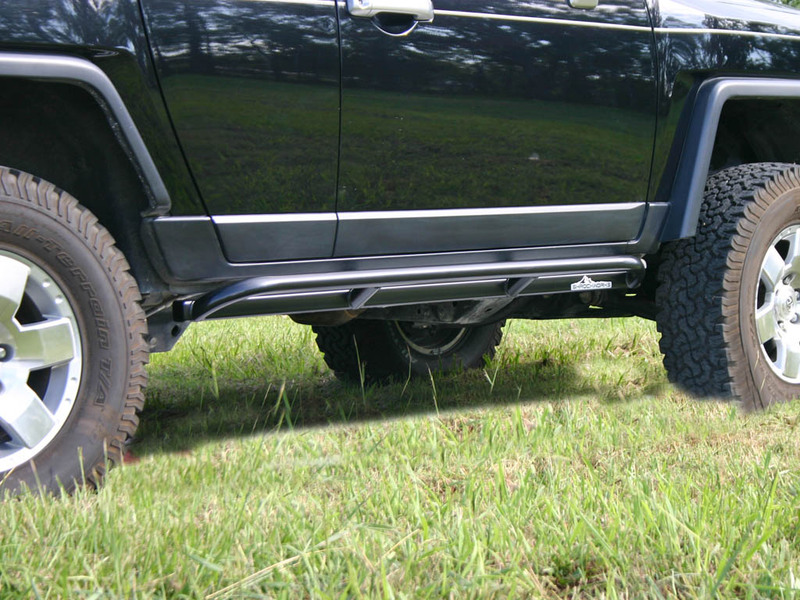 Tube nerf bars look nice, but they are made of a thin material and will quickly buckle with even a moderate blow (View Damage)while driving offroad. 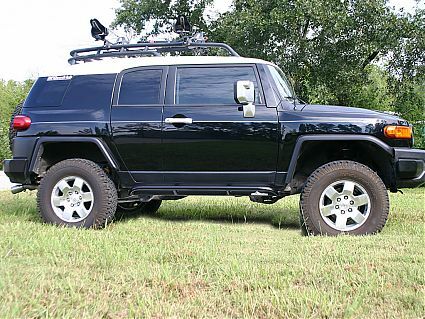 ShrockBars are the strongest rock sliders available for your FJ Cruiser. Only the best an strongest materials are used. The tube portion is 1.75" x 0.134 thick tubing. 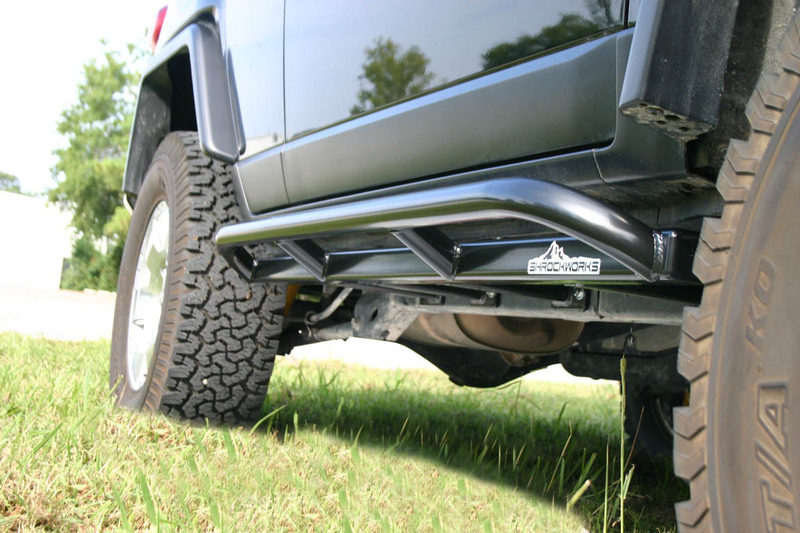 This tubing has a very high strength to weight ratio and is used in applications such a roll cages for race cars. 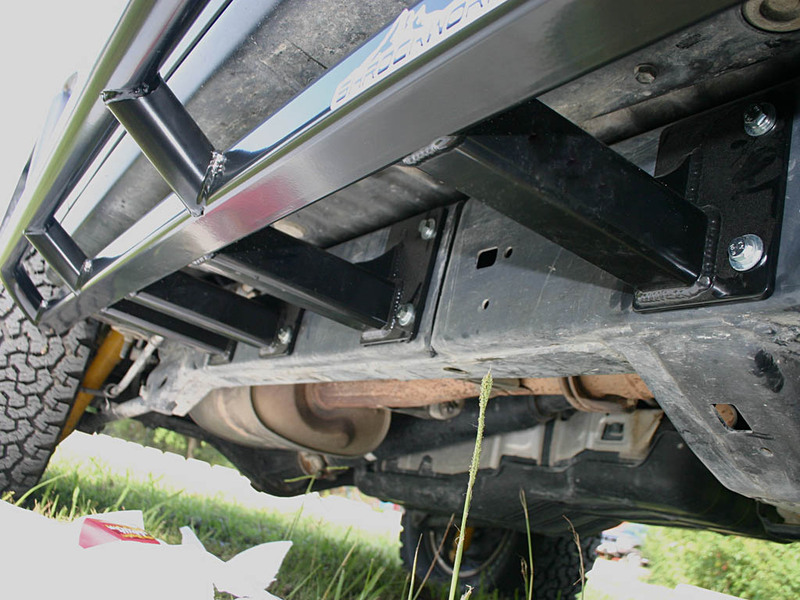 The legs and the main rail of the slider are made from 2"x2" 3/16" wall square tube. 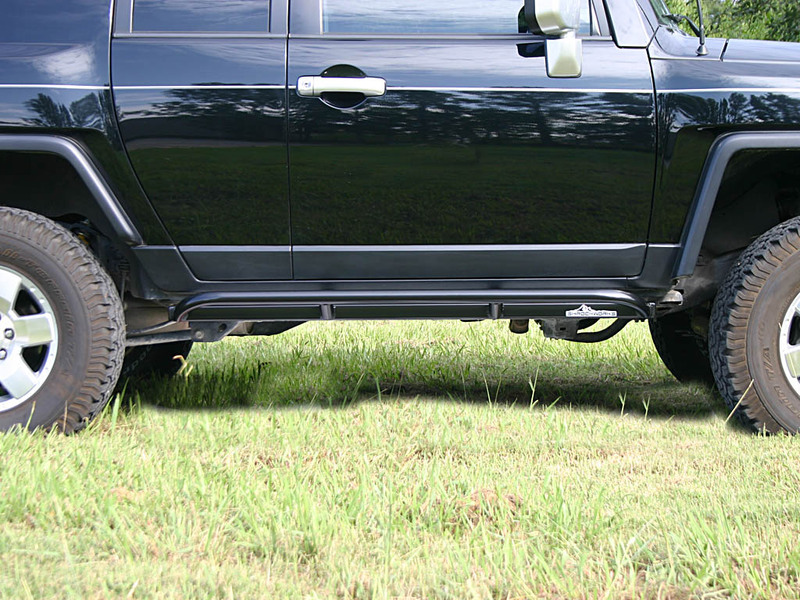 This is the area that gets the most abuse and the square shape and thick wall makes it many times stronger that the typical 1.75"x.120 wall round tubing found in most FJ Cruiser Sliders. 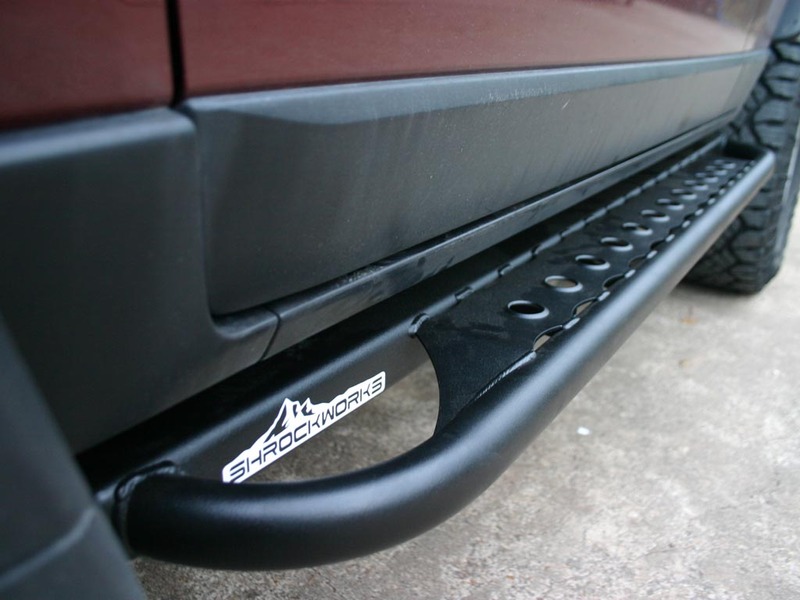 ShrockBars will allow to charge ahead offroad with no fear of damage to your rocker panels! 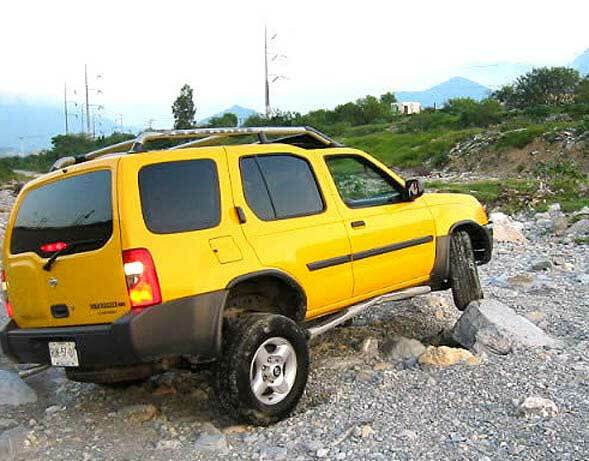 ShrockWorks rock sliders also function as excellect steps to get in the vehicle or reach the roof rack! Most designs do not stick out far enough to be useful for this. 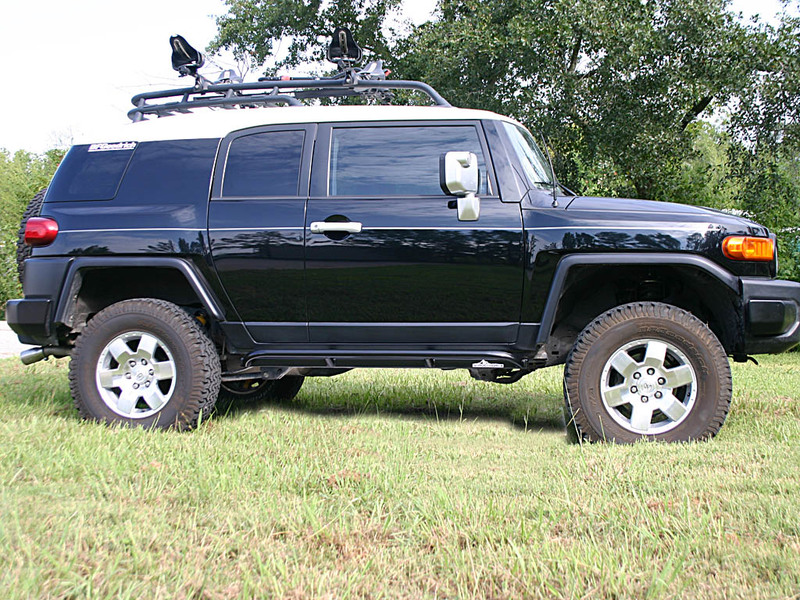 Protecting your FJ Cruiser doesn't have to mean giving up a lot of ground clearance either. The 30 deg. 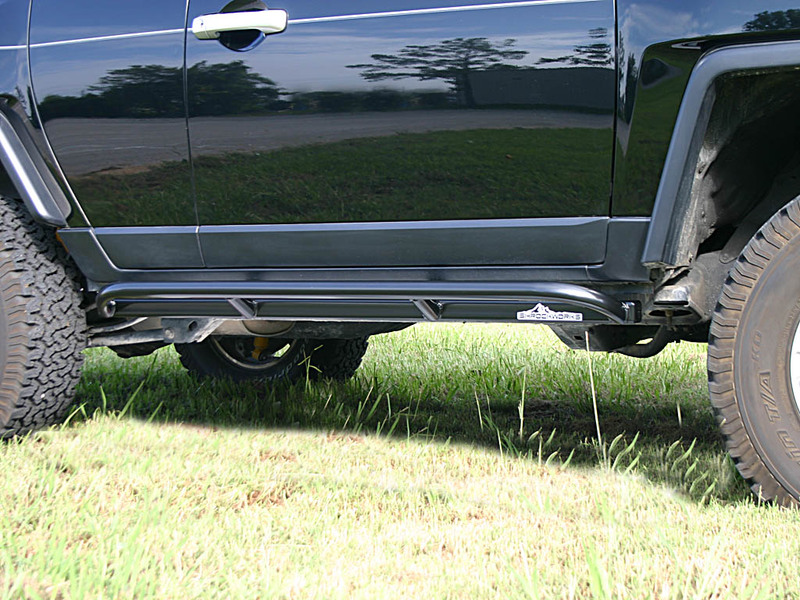 angled sweep of the side tubes on ShrockWorks rock sliders allows for excellent clearance and also provides great protection for fending side impacts. 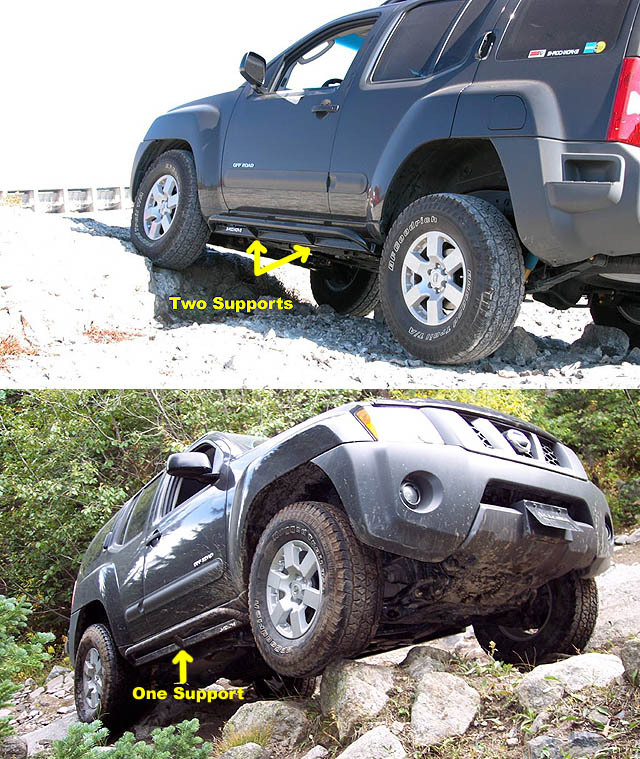 Side impacts are another extremely common source of damage offroad. 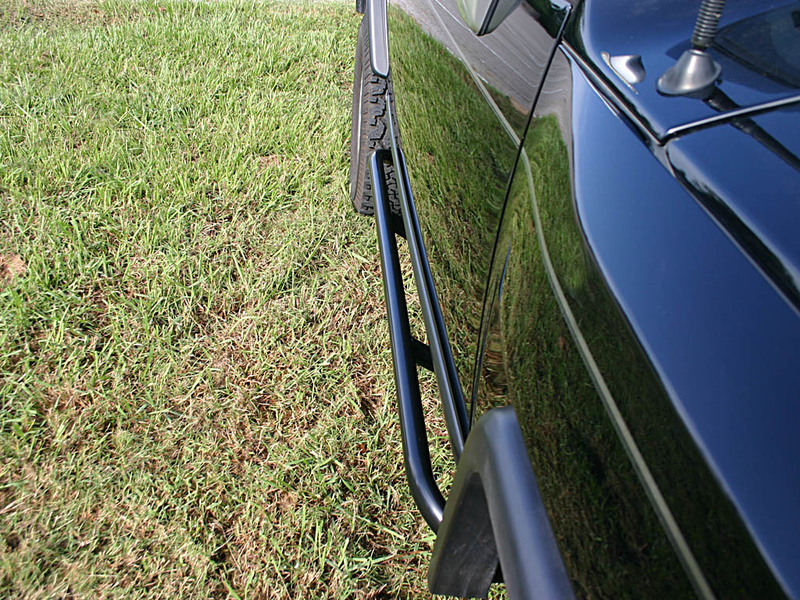 If you are in a tight spot and slip sideways, it is often the door on your Cruiser that will take the blow. 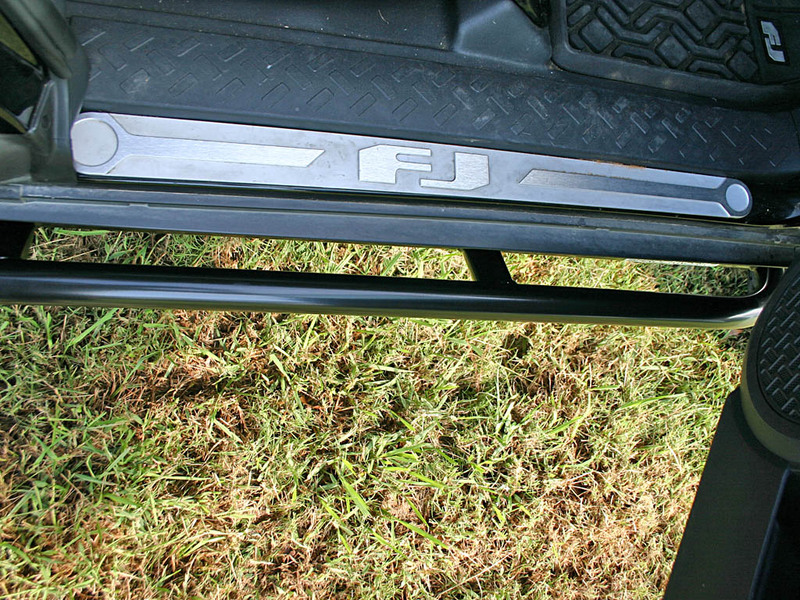 The stick-out of the tube portion fends off side impacts while also provide a convenient step up into your rig. 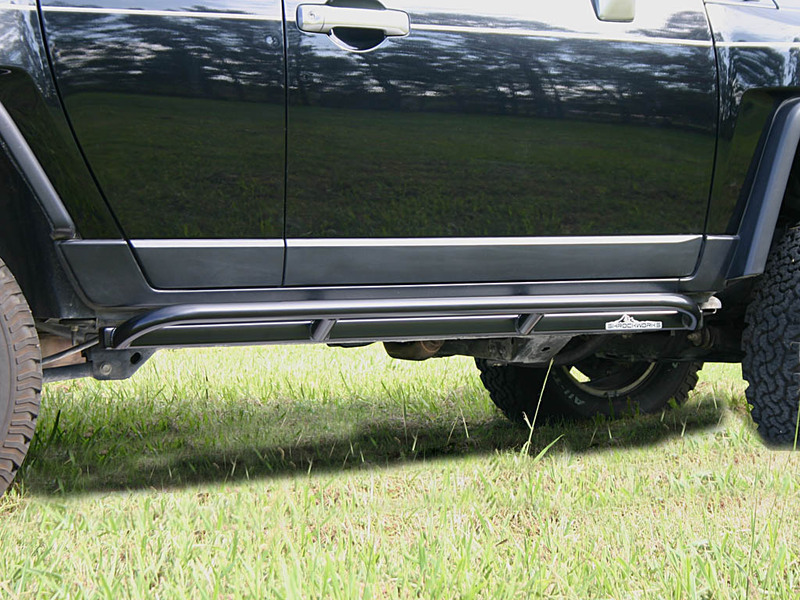 Installation: Simple bolt-on. All new class 10.9 hardware provided. - Materials: 1.75?x.134 wall DOM and 2"x2"x3/16" wall square tubing, and 1/4""plate mounting pads with gussets. 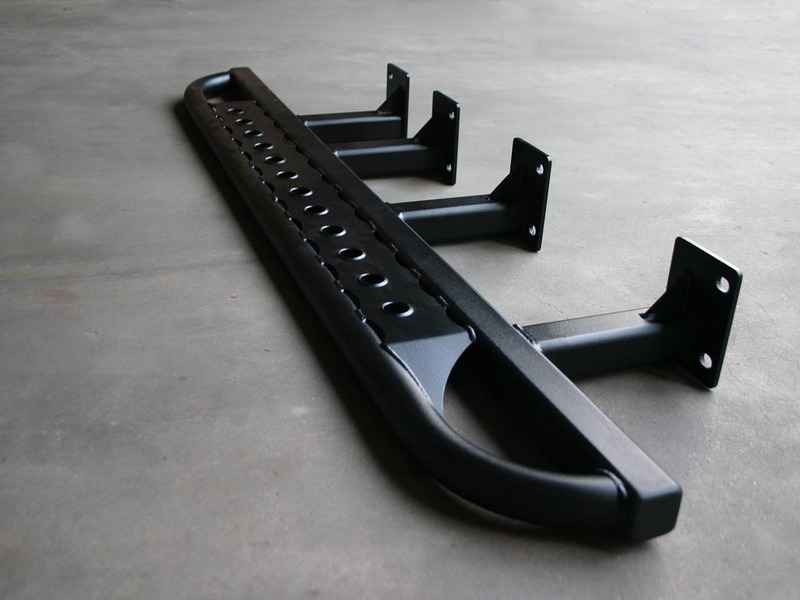 - Powder coated in an EXTREMELY durable semi-gloss black powder coat.